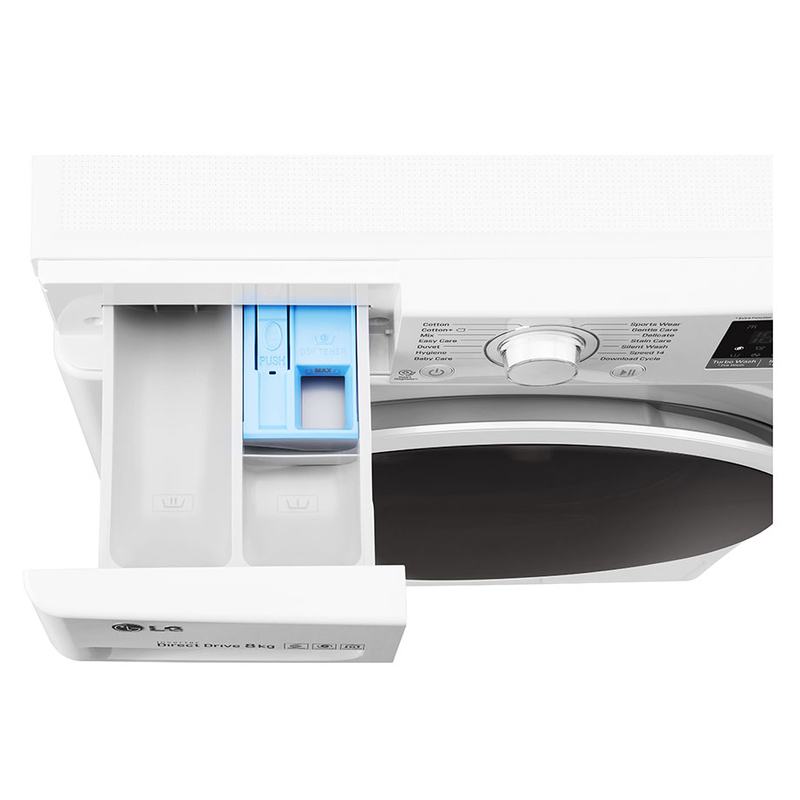 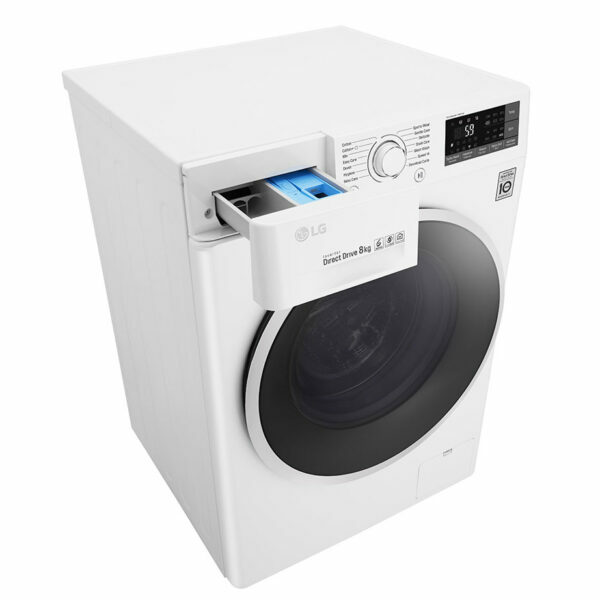 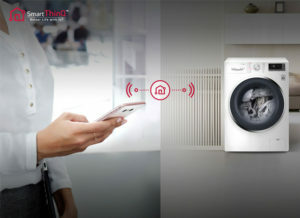 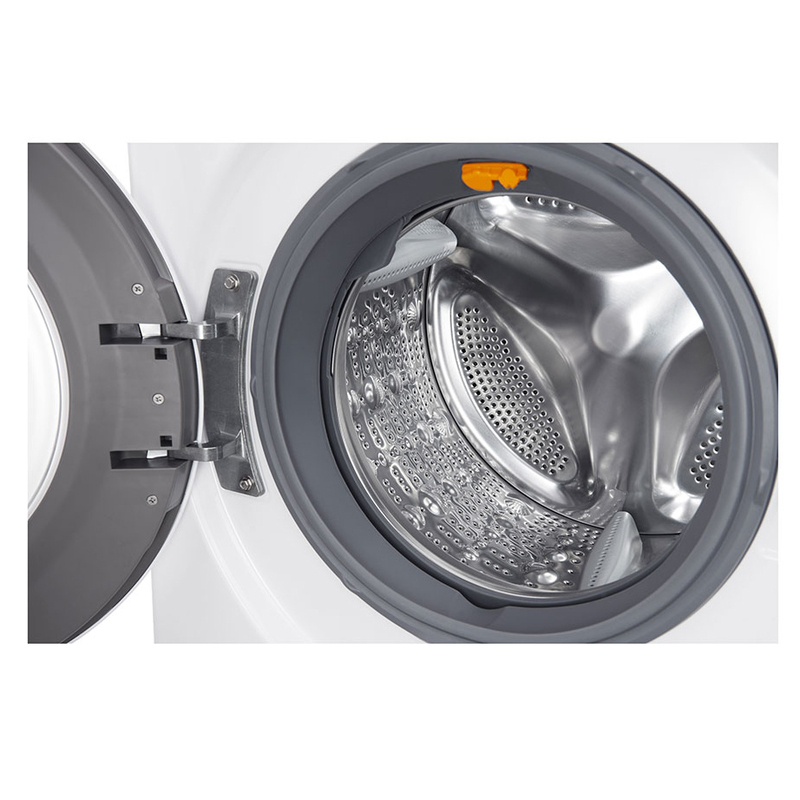 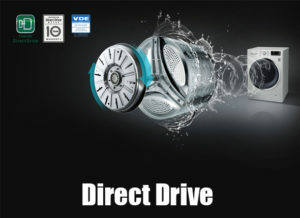 This LG Washing Machine is thorough, efficient and can even be controlled using your smartphone. 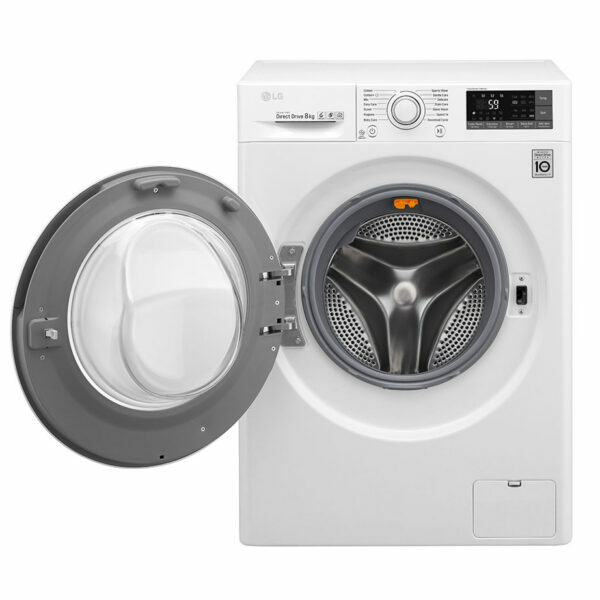 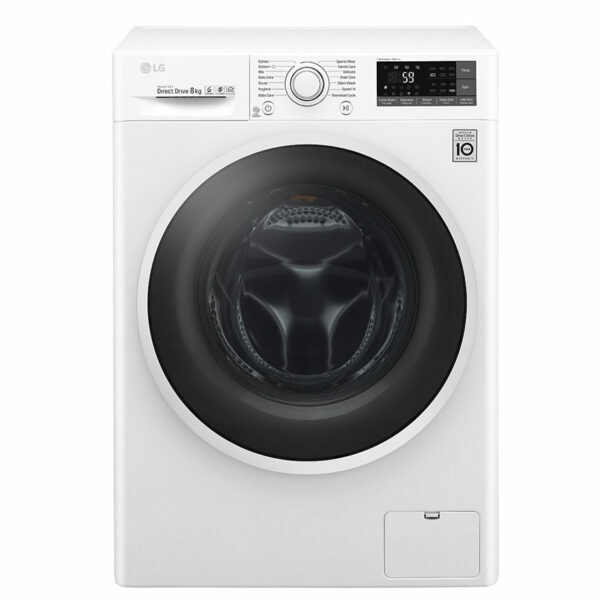 Boasting an 8kg load capacity – equivalent to up to 40 shirts in one wash – combined with an outstanding A+++ rating for energy efficiency, this LG washing machine is the stand-out choice for medium-sized households. 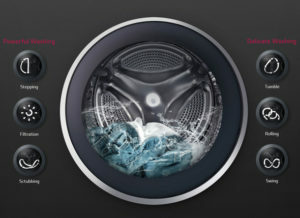 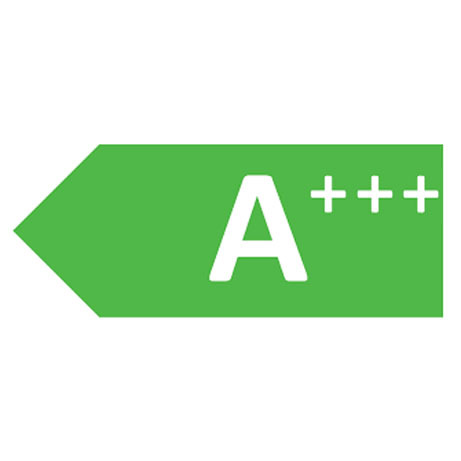 “Pause & Add Items” allows you to add the items to the wash without having to wait until the cycle finishes. 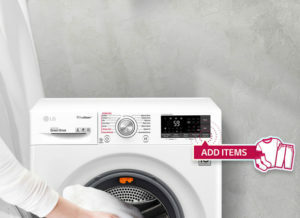 Simply press ‘Pause’ and wait for the cycle to stop, the door will open* within about 3 seconds** then add in your items, anything from small socks to a big jacket. Never forget a thing to wash again.